Cook the quinoa as according to directions. Let cool. 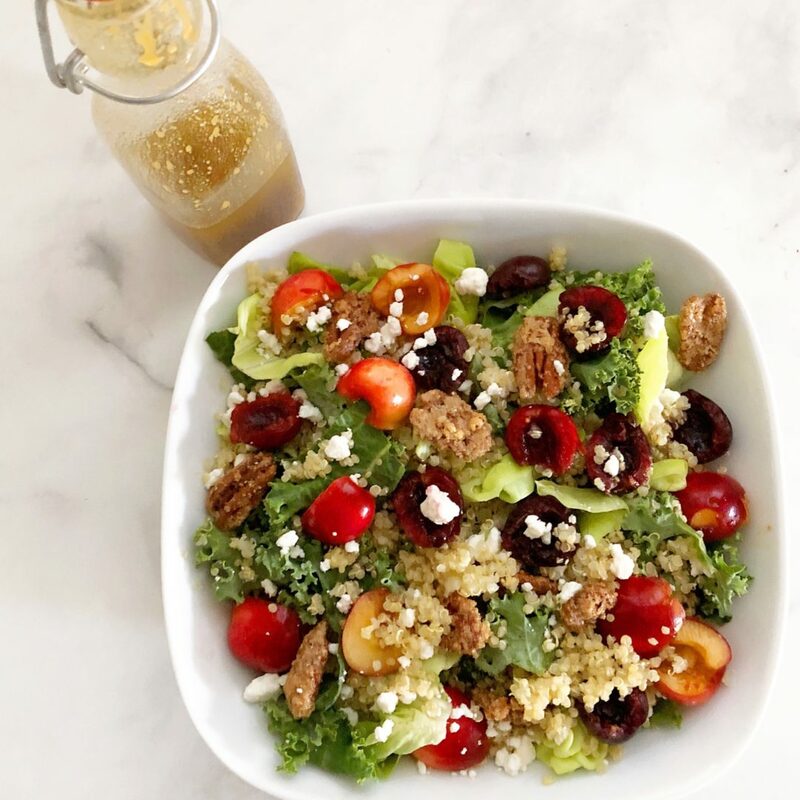 While quinoa cools, add lettuce, kale, cheese, cherries and pecans to a large salad bowl. Make the dressing, in a small mixing bowl or large measuring cup add olive oil, balsamic vinegar and mustard. Using a fork move side to side to blend everything together. Add salt and pepper for taste. If you want more of a kick add a little more mustard. Add cooled quinoa to salad, mix everything in salad bowl and add dressing. This salad is easy to change to your liking, more cherries, add another lettuce, less dressing, this is just a great base to do whatever you and your family enjoy.